Do you dream of traveling to Australia, Italy... or Ireland? That’s according to a recent TripAdvisor survey. They asked 10,000 people. So here’s our question to you: what’s your top dream destination? Please leave a reply below. Ireland of course! 🙂 Can it be my top 1, 2 and 3 dream travel destinations? Of course it can! It is a wonderful dream! I have always dreamed of visiting Ireland but more recently have been infatuated with dreaming of Scotland! I can’t stop. I’ve recently experienced that spark of interest in Scotland as well Rachel. I don’t suppose it was Diana Gabaldon’s series of books that did it for you as they have for me ? Awesome! We are glad you are enjoying the lessons! I am an avid reader, also. Thank you for sharing, great book! Scotland was my dream for a long time. But now Ireland is a close second! Dreams are a wonderful thing! Enjoy your trip to Ireland in June! Thank you for sharing your wonderful travels! Ireland has always been my dream. (where I studied in 73-74) would be frosting on the cake. I hope you do get your extended visit to Ireland! Definitely Ireland! May be corny and trite, but felt a connection and felt at home in Ireland. My family’s ancestral home claimed a piece of my heart. We will be back. Ireland, I have always wanted to see your beautiful country! Isn’t it fun to have beautiful dreams! I’ve been to Ireland and Italy, and I’d go back to either one, happily. England, Scotland and Wales would be fun, too. Or Scandinavia! Australia’s too far away…obviously, though, here i am trying to learn Irish-i guess that says something! Yes, learning Irish speaks volumes! Ireland is first always. I’ve been pretty much all around the sea side but I could certainly use a trip down the middle. Or anywhere else. I don’t really mind repeating. After that I would love to see New Zealand. I fell in love with New Zealand after watching “Lord of the Rings”! Awesome! I hope you get to repeat! I agree, repeating would not be a bad thing! Thank you for sharing! You have had wonderful travels! Thank you for sharing! 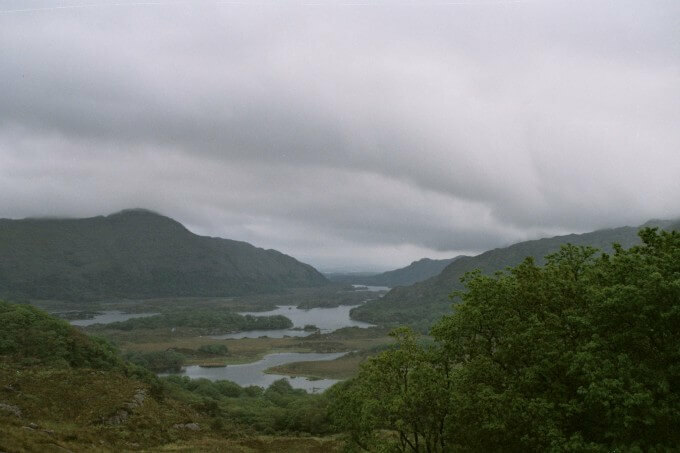 I live in Italy and dream of Ireland… I’ve been to Ireland for 10 days two years ago but was merely a bite to that succulent apple… I’d go back every year for several months and never have enough of it! Ireland is always my first choice. Followed by Alaska and Scotland. Brenna wants to visit Paris- but not until she turns 16 since it’s the ‘City of Love’. Alaska was my dream destination since 3rd grade when I did a school project on that state. But after I visited Switzerland I didn’t feel the same pull… I’d still love to go to Alaska but it’s no longer at the top of my list. Dreams change with time, but we never stop dreaming! I would say Poland! There are many thousands of Irish now living, working and married in Poland. Many connecting in Ireland, some marrying, some as friends along with other Irish family members looking for change and opportunity, etc. The Irish mostly live and work in Warsaw to the north, beautiful Krakow in the south and Zakopane, a picturesque ski town near Poland’s southern border and mountains. Poles are especially welcoming to the Irish moving and working in Poland. The Poles remember how welcoming the Irish were to them for years when the Celtic Tiger was strong in Ireland. Poland is a true economic miracle, with a GDP that is soaring! “When you say your Irish in Poland, you’ll always get a smile:)” also, the Irish Pubs in Krakow and Warsaw said to be fantastic! Slainte! Read two helpful articles: 1. In The Irish times weekend review: “Irish Workers Warm to Warsaw,” and “Opportunity is Closer Than you Think: Warsaw.” These explain why so many Irish are heading to Poland… There are even GAA clubs! So, Poland gets my vote! Thank you so much for taking the time to share this with us! I live in Australia – Tasmania to be exact but my dream destination is Ireland. Hoping to go there next year but I know if I go I won’t want to ever leave. I hope you get to go to Ireland next year! Keep us informed! For then at last,, will my soul be free. to rest at last,, in my IRISH home. I know what you mean Christine. Personally I think New Zealand is the best travel destination in the world but I would love to take another trip to Ireland in a few years. I have travelled all over Ireland and thought the Ring of Kerry was one of the most beautiful spots ever. I yearn for extended time on the west coast of Ireland, from Cork up to Dingle. I’m fortunate to visit Ireland frequently, but only for a week at a time. Not nearly long enough. I agree that if you get to visit Ireland often you are very fortunate, indeed! Australia? Really? I mean, really? Okay, I can sort of understand. Australia has some nice bits. The Twelve Apostles. Various parts of Tasmania. The Outback even looks nice in picture. When I was in the US, we’d tell people where we were from, and they’d be like, “Oh, Oh-stroll-ya? I’ve always warnted to go there! That’s sooo cool! Ossie ossie ossie!” (*cue eyeroll*). Okay. Rant over. I love Australia. I live here, don’t I? (1) Hmm… Scotland. Sorry, Scotland wins out. Larger part of my heritage, I suppose (just). Ireland and Wales come very close in destinations, though. And they’re all near each other, so I’m including them all together. Let’s just say… every expat kid longs to return to wherever their parents came from because they feel like they’re missing out on something. I’d love to do a good long trip of all those areas – Ireland (all of it! ), the Islands and Highlands, Wales. It probably won’t happen though. (2) Canada. Only got twelve hours there. And it was Vancouver. But I liked it. I’d love to visit Nova Scotia and PEI. Maybe Quebec, if I can get my head around the dialect. (3) Hmmm… Not sure. New Zealand? Nice, but I go there a lot. I think Austria. It’d be nice to go back now I can speak the language. Tentatively, I also hope to go to England and France this year as well. It will be wonderful if you can visit Ireland in the summer to be able to experience all of the seasons! Enjoy your travels this year and stay safe! Ireland then Iceland then Wales. Ireland is my first choice also. Iceland is an interesting choice. What is the attraction for you?